We are proud to present the famous Glenfiddich - Hand Bottled Distillery Release - 15 year old - 59% - *50ml Sample*. With so many available recently, it is good to have a brand you can recognise. 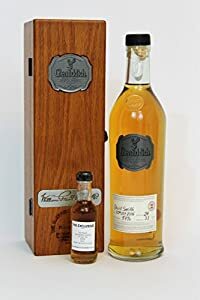 The Glenfiddich - Hand Bottled Distillery Release - 15 year old - 59% - *50ml Sample* is certainly that and will be a great buy. 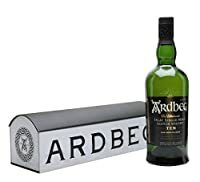 For this price, the Glenfiddich - Hand Bottled Distillery Release - 15 year old - 59% - *50ml Sample* comes widely respected and is a popular choice with lots of people. Glenfiddich have provided some nice touches and this results in good value for money. The Distillery Malt - only available to those who make the journey to the Glenfiddich Distillery and cannot be found anywhere else in the world. Bottled on the 20th Oct 2015, number 235 from batch no. 33. Category - Single Malt from Speyside, Scotland Distillery - Glenfiddich District - Speyside Bottler - Distillery Bottling Bottling series - Handbottled at Visitor Center Bottled - 2015 Age - 15 years old Cask number - Batch #33 Strength - 59% Vol.